Sing, Unburied, Sing (Large Print / Paperback) | Let's Play Books! A finalist for the Kirkus Prize and Andrew Carnegie Medal, and a New York Times bestseller, this majestic, stirring, and widely praised novel from two-time National Book Award winner Jesmyn Ward, the story of a family on a journey through rural Mississippi, is a "tour de force" (O, the Oprah Magazine) and a timeless work of fiction that is destined to become a classic. Jesmyn Ward's historic second National Book Award-winner is "perfectly poised for the moment" (The New York Times), an intimate portrait of three generations of a family and an epic tale of hope and struggle. "Ward's writing throbs with life, grief, and love... this book is the kind that makes you ache to return to it" (Buzzfeed). 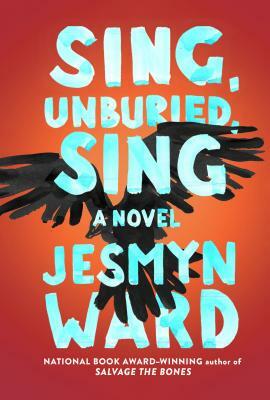 Rich with Ward's distinctive, lyrical language, Sing, Unburied, Sing is a majestic and unforgettable family story and "an odyssey through rural Mississippi's past and present" (The Philadelphia Inquirer).